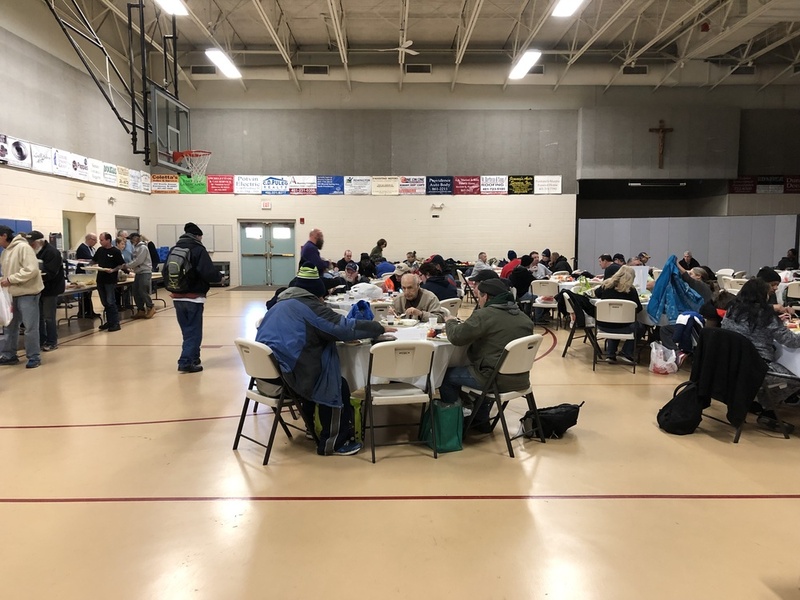 Since 1995 Saint Anthony Church, North Providence, Rhode Island, has been providing meals to the poor every Sunday through its Hot Lunch Outreach Ministries. On the first and third Sudays hot meals are served in the Parish Center gymnasium, which are prepared by volunteers in the fully equipped kitchen. Private busses are sent to Crossroads in Providence and other designated locations in the city to transport anyone in need of food. Some clients come with thier own transportation. Between 12:30 and 1 PM the meal is served cafeteria style with generous proportions. Takeout containers are provided for leftovers along with bread, pastries, and other items donated by local bakeries. During the holiday season toys are provided for the children as well as hand knitted items and toiletries. Approximately 100 or more people are served each meal.